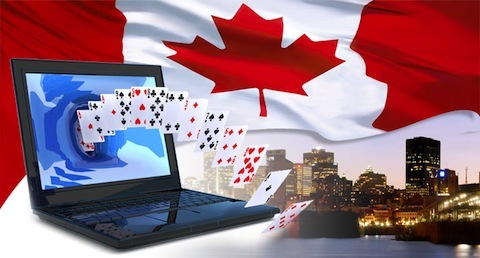 Government prohibit Canadians run online casino sites in Canada, but they have allowed citizens to play real money online casino games such as, roulette, baccarat, blackjack and video slots on offshore websites without any problems. Generally speaking everything is fine for people, but some patriotic beavers on provincial and country levels became to realize that they are missing a really big numbers of millions in local budgets when allow companies from abroad to operate on the market, without paying a penny. So probably in the nearest future we will see an increase of local owed Internet Gambling sites as the first province already said "yes " to this and it was a British Columbia. Province government set up PlayNow.com in 2010, it was first regulated online gambling site in Canada. In the same year Quebec joined them creating a website which offered a variety of board games , sports betting and poker. In 2013, Manitoba PlayNow was also launched. Registered Manitobans can now access the bookies, online poker, video slots and newest casino games through their own provincially regulated online gambling website. Each of the three provinces separately collects revenues but also share a poker players. Ontario is on the way to regulate gambling soon. I am sure that in near future all Canadians will have access to online gambling sites with local regulations. This is good for the local budget indeed. But not every province has taken gambling. Provinces of Newfoundland and Labrador, Nova Scotia, Newfoundland and Labrador and Prince Edward Island are not interesting to take online gambling on board but I am sure it is just a matter of time. And in response to the people who think that online casino is evil, it is very naive to think if you ban an online casino people won't play, it is 21st century and those who want to gamble without any doubt will find a way how to do it because there are still many good online casino always around and open to everyone.